Data becomes significant if it can be linked to information, knowledge and wisdom. Once processed it can be used to generate detailed insights into farm operations and the environment. Data assists big and small holder farmers in making data-based operational decisions to optimize yield and boost revenue while minimizing expenses, the chances of crop failure, and environmental impact. data coming from external sources like market prices and data that is exported for aggregation by other farm service providers. What produce can I grow where I live? When should I sow/plant/harvest/market it? How should I sow/plant/harvest/market it? All these questions can be answered if the factual data or information is used or made available to the farmers. identify the part in the agricultural value chain where data, and which data, is needed most. Why Focus on Data? 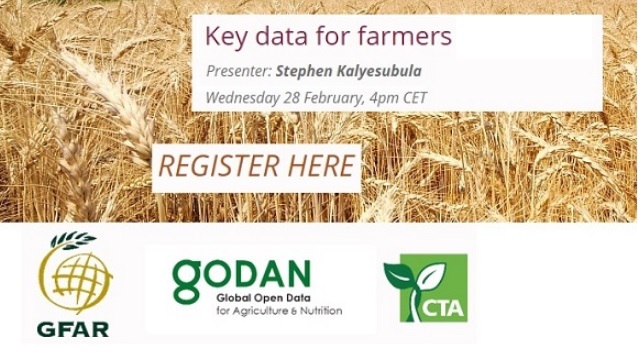 Why GODAN?